Uh, oh! Captain Frosty the Snowman stole Rudolph the Reindeer's shiny red nose! 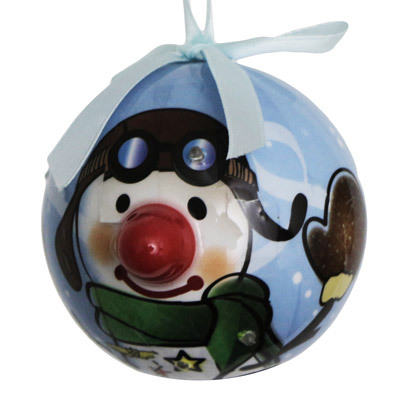 This ornament will be sure to brighten up for your tree with the 6 LED lights inside. Batteries included, 3 inches in diameter.